Jabez Matthews was born in 1857 in Pontypridd, Glamorgan, Wales, the second of the ten children of insurance superintendent David Matthews (1836-1908) and Charlotte née Williams (1832-1901). In the 1861 census David and Charlotte were recorded at Trevethin, Monmouthshire, with their three eldest children. At this time David gave his occupation as a nailor (that is, one who makes iron nails by hand). They were still in Trevethin ten years later but the family had grown to six children. David was still employed as a nailor and 13-year old Jabez worked as the nailor's assistant. During the winter of 1878 Jabez married Martha Dixon Taylor (b1857, Crumlin, Monmouthshire) at Newport, Pembrokeshire. They set up home in Newport and were eventually to have ten children: Emmeline (b1880, Newport), Frederick John (b1881, Newport), Daniel Albert (b1883, Newport), Winifred (b1885, Monmouth), Thomas Percy, known as Percy (b1886, Blaenavon), Harold Ewart (b1887, Newport), Priscilla (b1890, Abergavenny), Gladys (b1893, Abergavenny), Wilfred Vernon (b1895, Abergavenny) and Arthur Donald Taylor, known as Donald (b1897, Abergavenny). As may be seen from the birthplaces of the children, the family moved around somewhat during the 1880s and 1890s. In the 1881 census the family were recorded at St Woollos, Monmouthshire where they shared a house with another family at 13 Victoria Crescent. Jabez gave his occupation as a life insurance agent. By 1891 the family were living in Abergavenny and by this time Jabez gave his occupation as an insurance superintendent. The family then moved to Yeovil and the 1901 census recorded Jabez, by now aged 43, Martha, six of their children and a domestic servant living at 190 Sherborne Road. Jabez gave his occupation as 'Superintendent of Assurance Agents; Prudential Assurance Co'. The 1911 census recorded the family living at 35 The Avenue. Jabez again gave his occupation as 'Superintendent of Assurance Agents to the Prudential Assurance Co'. Frederick was an assistant schoolmaster, Winifred was an assistant schoolmistress and Harold was and assistant architect. During the Great War five of Jabez and Martha's sons enlisted; Percy was killed by a shell in July 1915 while at Ypres, Donald was killed in action during April 1918 while fighting as part of the Egyptian Expeditionary Force and Wilfred was killed in October 1918 while leading a charge of his platoon on the Hindenburg Line. Jabez was active in public life in Yeovil and from 1907 began serving on the Town Council. In 1916 he was among the batch of prominent Yeovilians to be elected as Borough Magistrates that included Edward Raymond Chaffey, Edmund Damon, Frank Whitmash Mayo, William McMillan and Percival Waddams Petter. 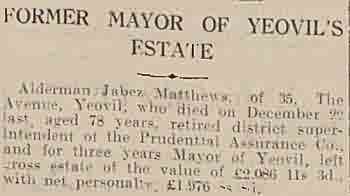 Jabez was elected Mayor of Yeovil in 1922 and re-elected annually until 1925. In the spring of 1936 Martha died in Yeovil. She was 79 years old. On 22 December the same year Jabez died in Yeovil, aged 78. 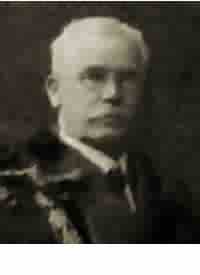 Jabez Matthews' mayoral photograph. 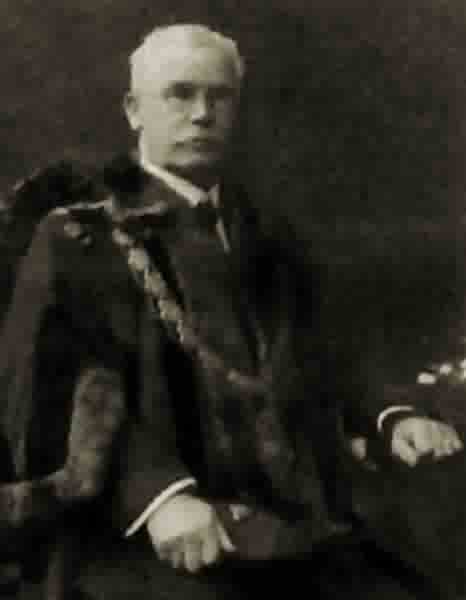 Jabez was Mayor of Yeovil from 1922 until 1925. Jabez Matthews' first annual message, in his role as Mayor, to the people of Yeovil. Reproduced in the 29 December 1922 edition of the Western Chronicle. 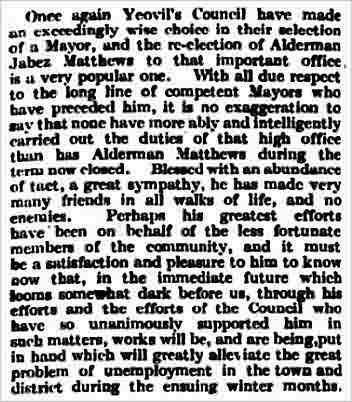 The report of the re-election of Jabez Matthews as Mayor of Yeovil from the 16 November 1923 edition of the Western Chronicle. On Tuesday evening 11 August 1925 Betty Balfour (1903-1977), a big star of the British silent cinema, appeared both on the screen in Sqibbs wins the Calcutta Cup and in person on the stage of the Yeovil Palace Theatre. The entrance to the theatre off the Triangle, was packed with fans anxious to catch a glimpse of the diminutive star as she was welcomed by the Mayor, Alderman Jabez Matthews, wearing his chain of office, and accompanied by fellow aldermen and councillors whilst the Town Band played ‘Rule Britannia’. In 1928 Jabez and Martha celebrated their Golden Wedding as reported here in the Exeter & Plymouth Gazette's edition of 16 November 1928. 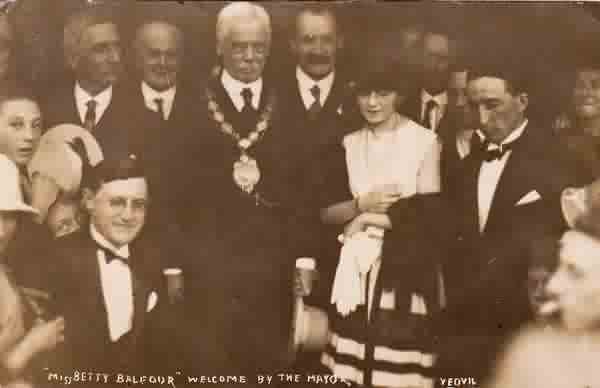 The Yeovil Town Council delegation, all looking remarkably unhappy, at the opening of the Bath and West and Southern Counties Society's show, 25 May 1932. 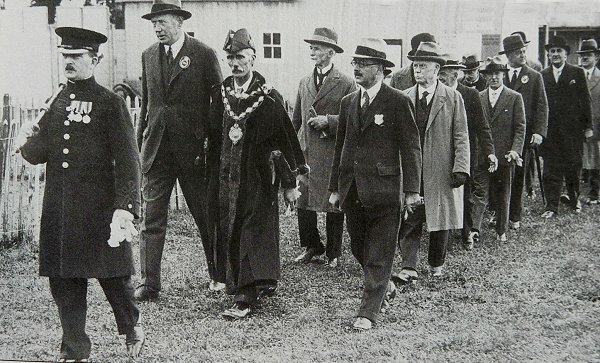 Left to right are Mace-Bearer Joseph George Boucher, Major (later Colonel) Batten the Town Clerk, Mayor Alderman William Earle Tucker looking extremely glum, Alderman William Mitchelmore, Councillor Sidney Clothier the Deputy Mayor and Alderman Jabez Matthews in the light raincoat. A report on the estate of Jabez Matthews from the 12 January 1936 edition of the Western Daily Press.